The "flat white" is going mainstream. Starbucks introduced Tuesday its own version of the flat white, a specialty coffee drink popular in Australia, New Zealand, and the U.K, but until now relatively unknown in the U.S.
"This coffee connoisseur's choice combines ristretto shots made with Starbucks signature Espresso Roast and freshly steamed whole milk with microfoam, expertly handcrafted for a genuine Flat White experience," Starbucks explains on its website. It may be hard for some to distinguish between a cappuccino and flat white. "It’s about two ounces of espresso and covered in four ounces of milk, with less than a centimeter of foam,” said Chromatic Coffee co-founder Otessa Crandell in California's Bay Area. Crandell's San Jose-based shop has until now been one of the few in town to serve a flat white. Crandell said the hard-to-make drink is similar to a cappuccino or could be considered akin to a condensed latte. "Incredibly quick in preparation and it also is really delicate so if you stretch it [the milk] even a little bit too much, essentially you have too much foam,” Crandell said. "You get more of the sweetness from the lactose in the milk, and the sweetness in the espresso really shines through as well,” said Chromatic Coffee co-founder Hiver van Geenhoven. The flat white has been on Chromatic's menu for more than a year, but few customers have had it. 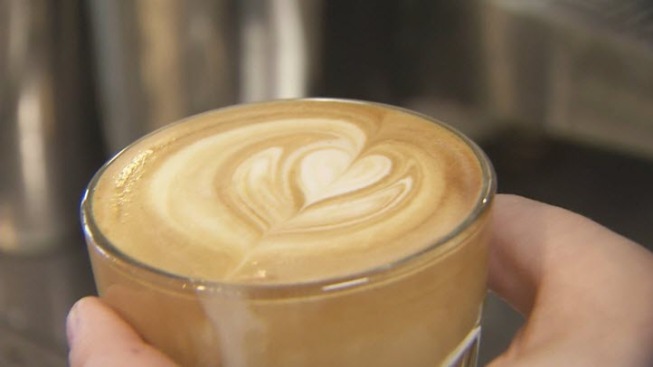 "If Starbucks is going to launch a flat white, what that means for us is that we're going to get even more customers that are excited to taste something they tried, and they want to taste it elevated even more,” Crandell said.